The martial art style Judo can mean a lot of things to different people. In reality, it is a fun and exciting sport, an art, a discipline, an activity, a way to protect yourself, and quite simply a way of life. Although you may hear many different meanings, the word Judo actually means all of the above and several more. Original founded back in 1882, Judo comes from the feudal Japan fighting system. Upon founding, Judo was a refinement of the martial art jujutsu. 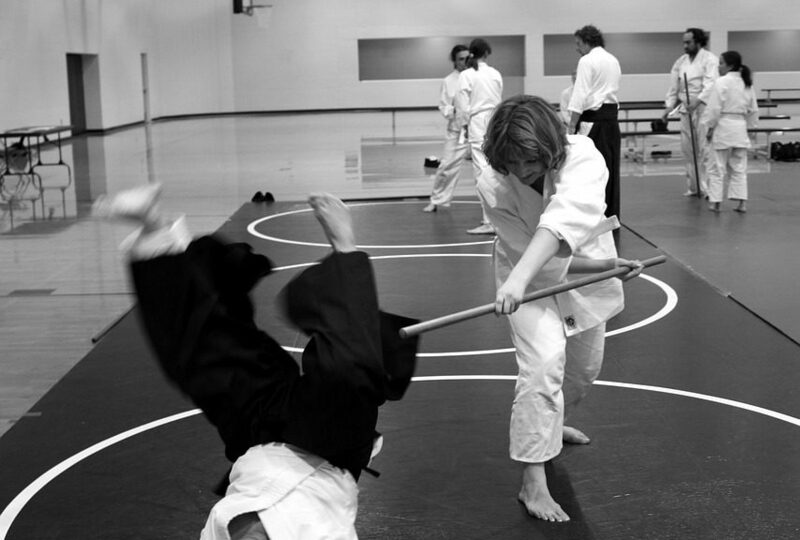 Jujutsu is one of the oldest martial arts styles, dating back hundreds of years. Judo made the biggest impact in 1964 when it was first introduced into the Olympic Games. Now, it is practiced by millions of people all across the world. Judo can help students stay in shape, excel in all areas of competition, stay protected with self defense, and several other things. For a majority of students, Judo is practiced just for fun. Although it starts out as fun for many, it quickly turns into a way of life, a burning passion if you will. Similar to other martial arts styles, Judo has rules that ensure the safety of those competing in the competitions. Students of Judo who are looking to test their skills will enjoy the competition levels, which range from club meets to national tournaments, and on up to the well known and best level of competition – the Olympic Games. Judo is known best for it’s amazing throw techniques. What many aren’t aware of, is the fact that Judo is more than just throws. It also involves grappling on the ground, controlling holds, arm locks, leg locks, and even choking techniques. Judo teaches all aspects of self defense, from a grappler’s standpoint. Another great thing about Judo is the fact that anyone can study, male or female, and even those that are disabled. Judo is also inexpensive to participate in, taught throughout the year, and it appeals to everyone. This martial art is also unique in the sense that even the elderly enjoy practicing it on a daily basis. Judo also helps students learn and develop respect and self discipline. It offers the chance to learn self confidence, leadership skills, power, flexibility, and physical prowess. Judo has evolved quite a bit over the years, going from a fighting art to competition status. These days, there are separate Judo ranks for kids, adults, and seniors. The martial art Judo, which means “gentle way” teaches you the applications that you need for self defense as well as competition. Judo is unlike other martial arts, in the sense that it combines the best of grappling with awesome throws that require little to no strength – but more of the way you position your body. This is an excellent martial art – that anyone can enjoy.